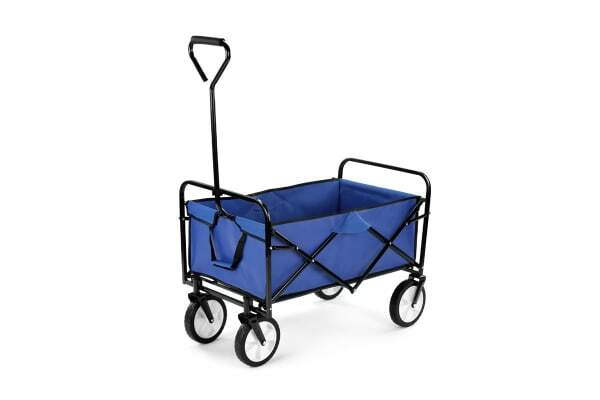 Don’t strain your back moving awkward and large objects around the garden, carrying multiple bags of groceries from the car or getting food and drinks to and from birthday parties with this versatile foldable garden wagon trolley. 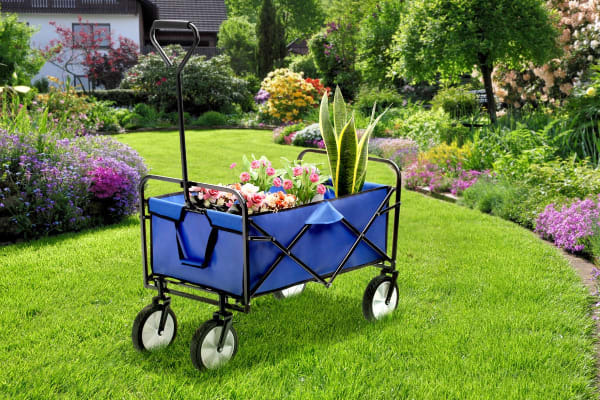 Multifunctional trolley for gardening, groceries, camping and more! 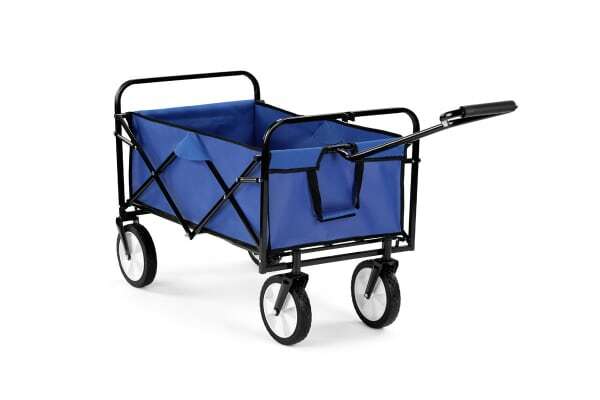 The perfect companion for gardeners, families, festival-goers, sport teams and grocery shops, the Certa Folding Garden Wagon Trolley takes the weight off your back thanks to the huge 80kg capacity and easy pull design – simply pop up, fill and roll. When not in use, simply fold into the back of the car or store away in the garage.